Some West Ham fans have been expressing their sadness after Domingos Quina was confirmed to have joined Watford. The Hammers were revealed to have lost the young starlet to their top flight counterparts on Thursday’s deadline day, the Vicarage Road outfit confirming his capture on their official Twitter account and website. The 18-year-old wonderkid has signed a four-year deal with the Hornets. The Portuguese youth international central midfielder only made six senior appearances in his Hammers career. One West Ham fan said it was a stupid move. Massively disappointed Quina is going. He’s going to be a star. It should’ve been with us. Not too fussed about Quina going. Little bit of cash back into the club. When I’ve watched him play he hasn’t stood out at all. Hope he has a good future career. £1m for a player who made a handful of first team appearances is decent business. Why are we selling quina to Watford ! These West Ham fans are obviously devastated about losing such a talented young player, especially to one of their Premier League rivals, as they probably know how talented the 19-year-old is. 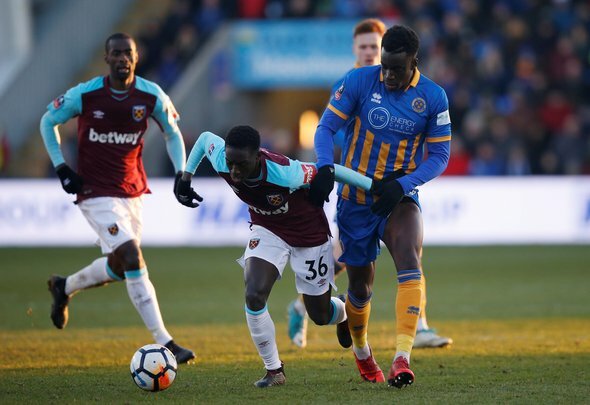 However, if you look at this from the youngster’s point of view, he was never going to get into a team that have the likes of Jack Wilshere, Mark Noble, Pedro Obiang and Carlos Sanchez, he needs to play and he would have never got the game time he needed at the London Stadium. Whether he will get that time at Watford remains to be seen but he probably feels that he has a better chance at playing regularly with the Hornets rather than with the Hammers.